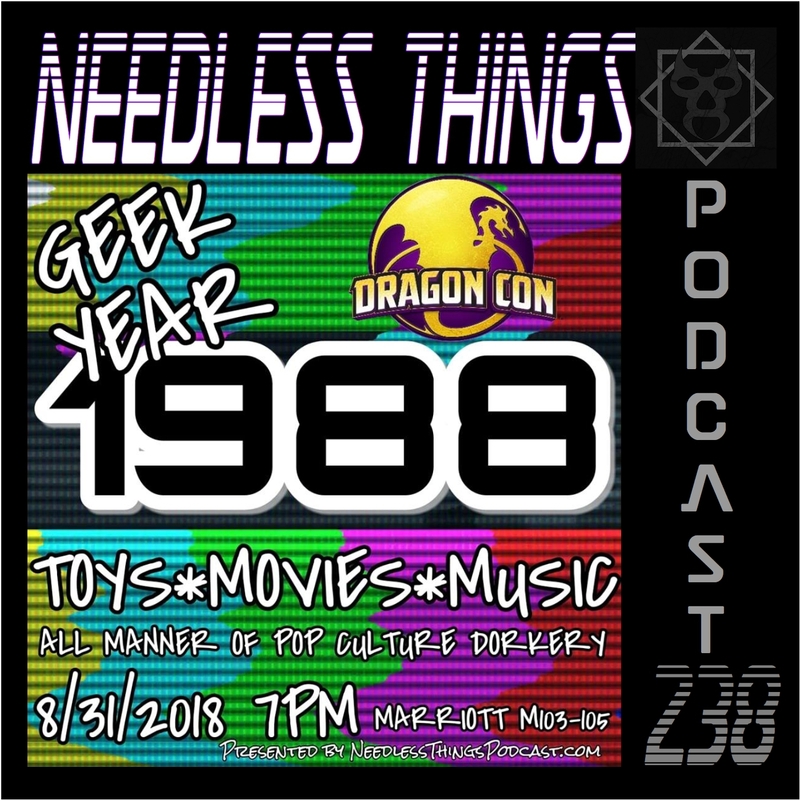 Recorded LIVE at Dragon Con 2018 for the American Sci-Fi Classics Track! Get your annual dose of nostalgia with Dave, Dana Swanson, Nicole Gould, Jon Carr, and Joe Crowe! When these things are recorded live in front of a Dragon Con audience, you know they can get a little crazy. Each panelist came to the table with a few of their favorite pop culture happenings from thirty years ago. From movies to toys to music, a wide range of weird stuff was covered and things got a little out of hand more than once. Listen in to one of the most outrageous Needless Things panels yet! Needless Things Podcast 249 – Let’s Get Ready to Wrestling!!! Needless Things Podcast 246 – A Howdy New Year!